No Yeast Hot Cross Buns are the perfect Easter treat and is mixed, baked and ready to serve in under an hour ! 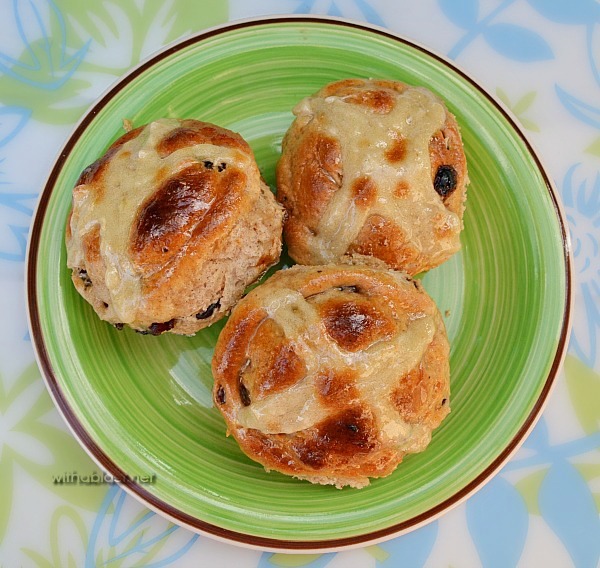 This No Yeast Hot Cross Buns recipe are right up my ally ! I do not like working with yeast and I always seem to make a mess of whatever I am trying to bake. 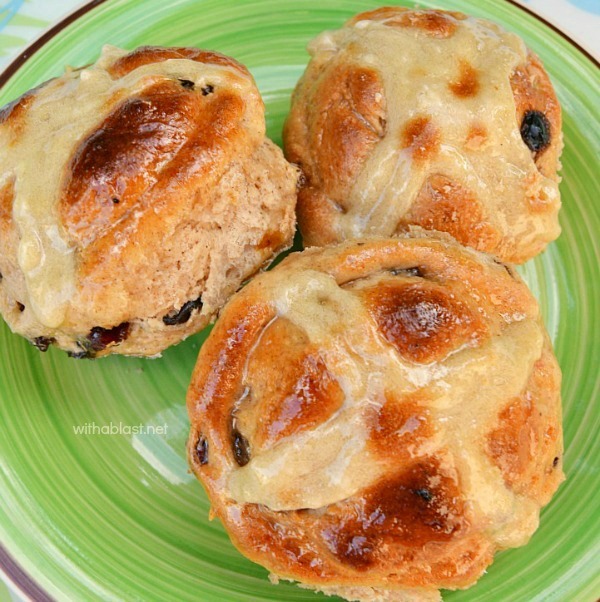 Hot Cross Buns are however one of my favorite morning snacks, not only around Easter time, but all year round. Now, it is convenient to pick up a packet or three at the supermarket. But what if I am craving a Hot Cross Bun in say, the evening, or on a morning when I am home alone ? Really, I am not going to start messing about with yeast, kneading, rising, kneading again or whatever it takes to bake my own. The mixing and baking of these Buns are quick and easy, as most recipes are on With A Blast. I will be totally honest, it is not 100% the same texture as the Buns made with yeast and also does not rise all that high. The final height is about 5cm (2 inches) which is not that bad at all. This is more a recipe which reminds me of scones, or biscuits as some would call it, but with a softer and more moist texture if you get what I mean. 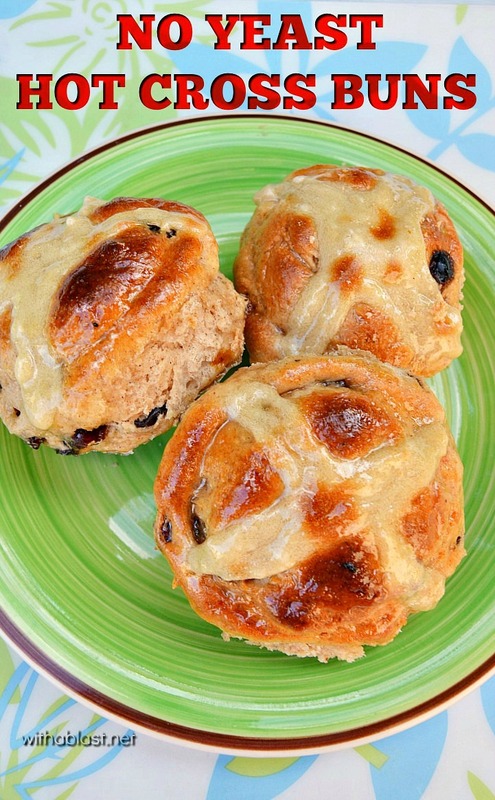 Now, for a quick fix to your craving for Hot Cross Buns, this is the recipe for you ! The Raisins can be substituted with Sultanas or even Chocolate Chips – now that’s a great idea (and delicious too!). So… heat up the oven, start mixing and by the time the oven temperature is ready, your dough would be rolled out and all, ready to go into the oven.